Who will be doing the alteration? Who will take the measurement? Can I give a right measurement apparel instead of them taking the measurement? 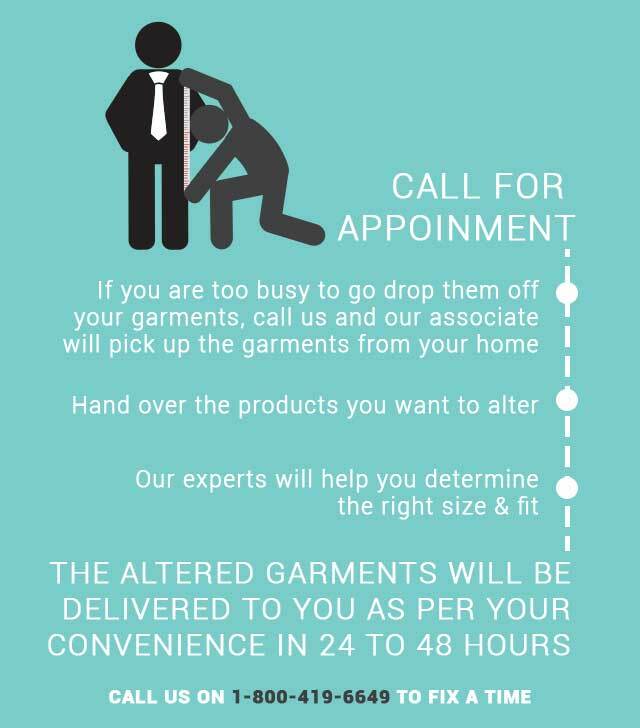 How sure you are that it will be the right alteration? When will you return this? 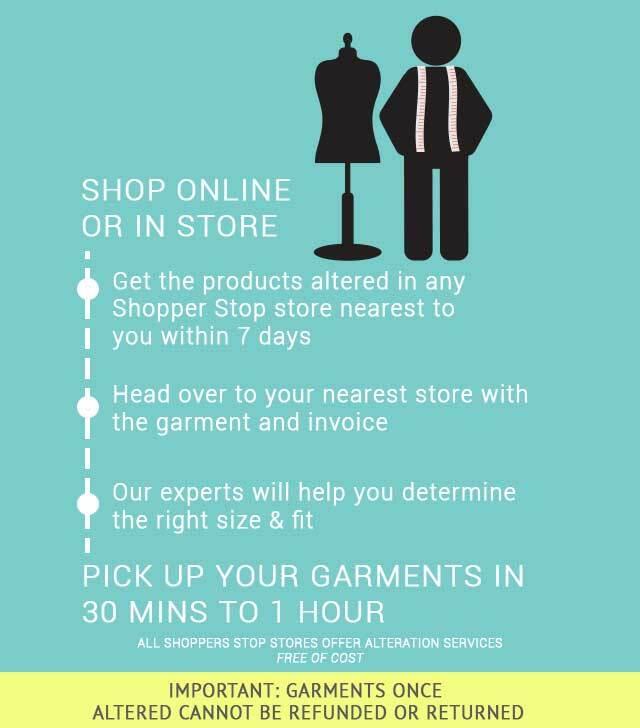 Will shoppers stop come and pick up the apparel? Will I get to know when they are coming? Will there be any charges? 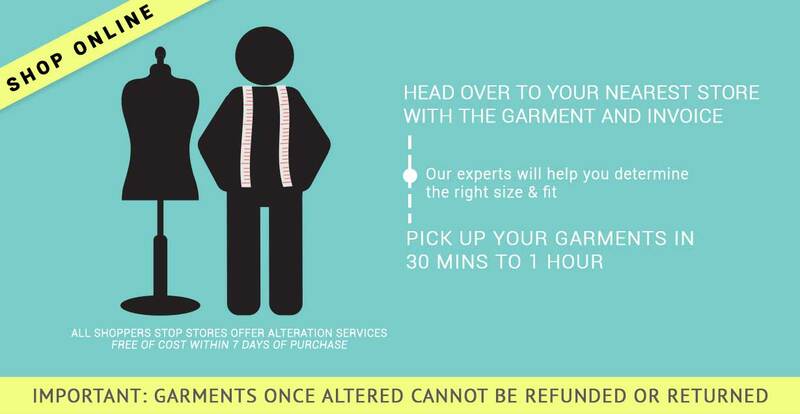 Can I give my other clothes also for alterations? How do we identify them (Pickup Boy)? How do I request for an Alteration? Do I need to give my measurements every time I order? I have made an appointment online, how can I cancel or reschedule the appointment? Can I cancel the booking after the person has taken the measurement and the product? Can I track My Garment Status?